Being your pet advocate is the most rewarding part of my job. 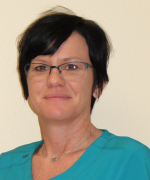 Dr. Betsy Oesch is a graduate of the Ohio State University College of Veterinary Medicine in Columbus, Ohio. She holds degrees in Equine Reproduction and Psychology, as well as Dairy Production and Management. 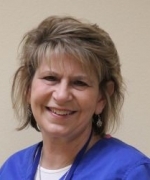 Since 1992 she has practiced small animal internal medicine and surgery, enjoying dentistry and the process of diagnosing and treating pets. She works with you, the client, to help you make the best decisions for your pet’s health. Serving as your pet’s advocate is the most rewarding part of her job. 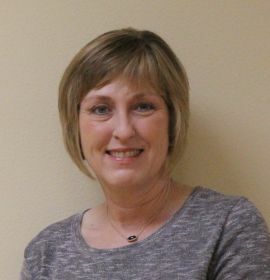 She has recently moved to the Roscoe area and is looking forward to a slower pace of life and making new friends in west Texas. 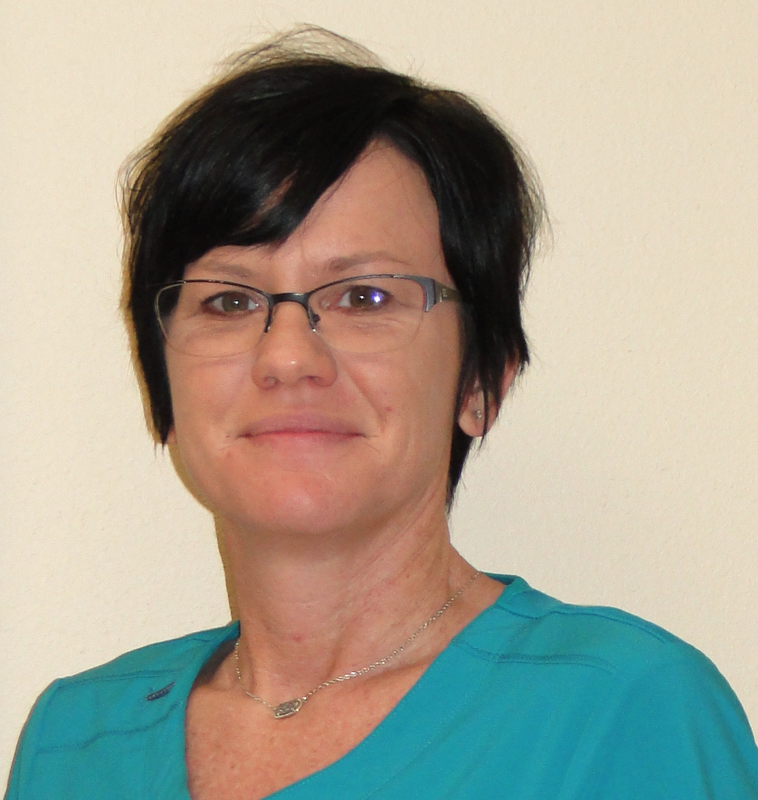 Dr. Oesch grew up on a dairy farm in Ohio with a very large family. She enjoys spending time with 2 of her sisters who live in Texas. She has four family pets, GiGi, Honey B, Spunky and Lola, who are champion Toy Poodles. She actively shows her dogs in AKC competitions. Cooking (especially baking) and gardening herbs and vegetables are among some of her other interests. For the past 8 years, Dr. Oesch has participated in the Iditarod Sled Dog Race in Alaska as a trail veterinarian for the sled dogs. I am committed to helping owners understand options in caring for their pet. 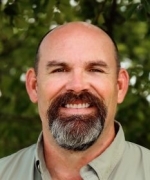 Dr. John Dedwylder graduated from Texas A&M School of Veterinary Medicine in 1987. He strongly believes that an informed pet owner will be better able to provide for their pets. Therefore, he is committed to helping owners understand options in caring for their pet, such as customized vaccination protocols, medical treatments, and diets. Since starting his own practice in 1990, he has practiced progressive small animal medicine and surgery. John has been married to his wife Michal for over 30 years. They have a daughter Katie who is married to Cy and a new grandson, Crue. We also have an “adopted” Latvian daughter, Katrina. Included in his family are two Chihuahuas, Lucy and Zoey, a Heeler mix named Gunner, and a Lewellen setter Belle, who recently took second at national field trial puppy competition and a longhorn steer named Buckwheat. Dr. Dedwylder has been hunting in Shackelford county since 1990. He and his family have owned property south of Albany since 2006. They moved to Albany in 2014 and are active members at Matthews Memorial Presbyterian Church. 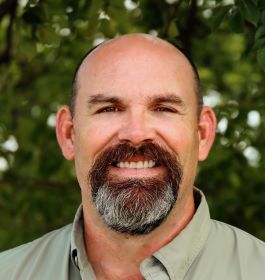 His interests include wildlife conservation, native Texas landscaping, with a special interest in wild turkey, quail and whitetail deer habitats. Looking forward to seeing you and your pet in our new hospital. I will make sure you are both taken care of by our qualified veterinary staff. A face familiar to Roscoe will greet you at our reception desk. Leslie recently retired from 28 years of teaching, and is looking forward to the next chapter in her life as our receptionist. 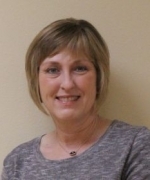 Leslie has lived in Roscoe with her husband Chuck for the past 26 years. Chuck is also a recently retired teacher and coach from Roscoe Collegiate High School. She has two children, Layken and Chase both graduates of Roscoe Collegiate High School. Layken is a C.P.A. in Fort Worth, Texas. Chase is currently attending Angelo State University pursing his Bachelors in M.I.S. Leslie loves spending time with family and friends. In her spare time she enjoys reading books and watching movies. My career training has prepared me to provide successful advanced reproductive services for your herd. Alfonso graduated from the New Mexico State University College of Agriculture Department of Animal and Range Science in Las Cruces, New Mexico. He holds a Bachelor’s degree in Agriculture and Master degree in Animal Science. 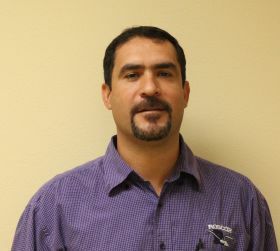 Alfonso worked at North Dakota State University as research specialist and manager of NDSU Beef Cattle Research Complex. He designed and conducted several research trials related to beef cattle nutrition and reproduction. Alfonso has more than 10 Scientific publication and he is also a member of the American Society of Animal Science and the American Registry of Professional Animal Sciences. 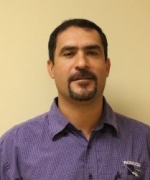 Alfonso enjoys using advanced reproductive technology and tools, such as ET and IVF to enhance the production offspring of genetically superior cows. Alfonso has been married to Roxanna for over 18 years. They have two children Alfonso Jr. and Roxane. 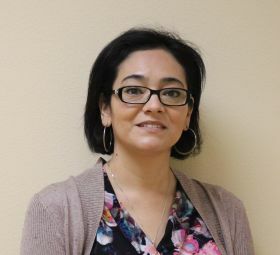 Roxanna graduated from New Mexico State University College of Agriculture in Las Cruces, New Mexico. She holds a Bachelors degree in Animal Science and a Masters in Agriculture Biology. She studied Veterinary Science in Mexico at Universidad de Guadalajara. 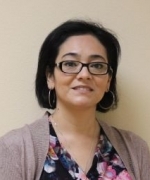 Roxanna specializes in STEM education, biotechnology laboratory techniques, and microscopy. She worked as Laboratory Manager at Villanova University and as Laboratory Assistant for the Electron Microscopy Laboratory. Roxanna has enjoyed raising laying chickens since she was little, and she used to ride horses. Her family owns a wildlife reserve in Mexico, her father and brother are Medical Doctors, the older brother is a Mechanical Engineer and her mother is a Professor at La Universidad Autonoma deCoahuila in Mexico. Roxanna has been married to her husband Alfonso for 18 years. They have two children, Alfonso Jr. and Roxane. I joined the EDU-VET Team in September 2017. For the last 16 years, I have worked as a technician. My love for animals and their owners has grown tremendously throughout those years. I’m super excited about being a part of a growing veterinary practice here in Roscoe. I enjoy spending time with my husband (Shawn) and my daughter (Miranda). I can’t forget my furry friends too (Rowdy, Bud, and Rufus). Come by, bring your pet. I would love to show you around.